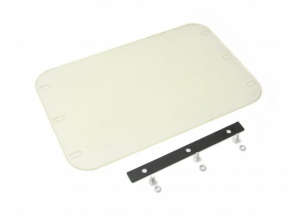 This easy to fit wheel kit makes transporting your Handy compactor plate a breeze, perfect for the THLC29140 and the THLC29142. 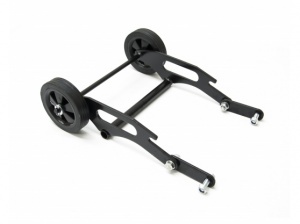 It weighs just 2.45 kg and folds for simple storage. Designed to fit Handy's THLC29140 compactor plate, this paving pad allows you to avoid damaging the surface of paving slabs when bedding them in. 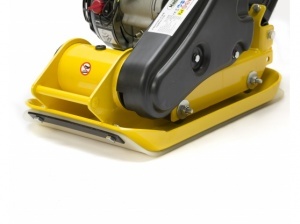 It is easy to bolt onto the compactor with the provided clamp. Bed in paving slabs using your Handy THLC29142 compactor plate while avoiding damaging the slab surface courtesy of this paving pad. Easy to bolt onto the compactor using the clamp provided. 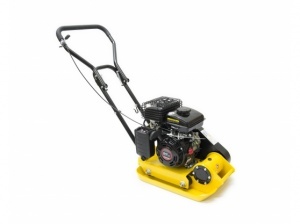 With an incredible 861 kg compaction-force, this petrol-powered compactor-plate utilises an 87cc 4-stroke Loncin engine while being compact and easy to handle. 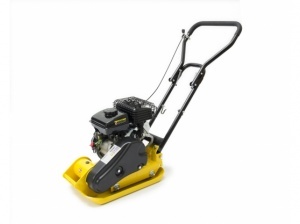 Boasting an incredible compaction-force of 1121kg, this compactor plate from Handy operates down to 25 cm and is powered by an impressive 5.5hp Loncin engine.